Urushibara is credited with introducing Japanese style woodblock printing to Western, primarily European, artists. He worked closely with Belgian artist Frank Brangwyn, rendering Brangwyn’s designs as woodblock prints. In 1924, British publisher John Lane produced a slim volume of ten prints by Urushibara of Brangwyn subjects. 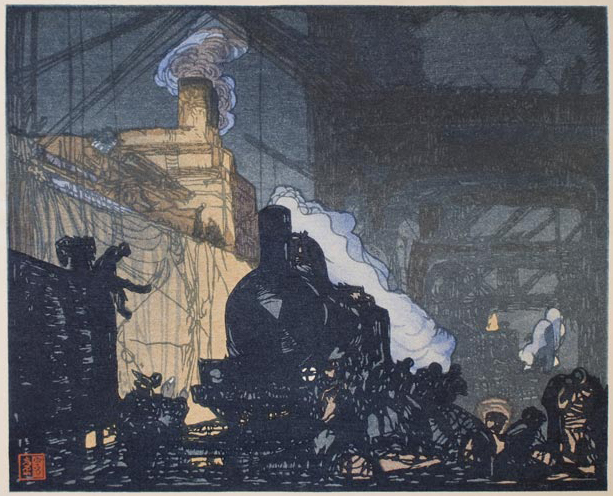 “In the Docks” is one of those, perhaps the darkest and most dramatic, and also, perhaps, the subject most removed from ukiyo-e style. Ten Woodcuts was acquired from the estate of Ted (Tadao) Ito to show his gratitude for the community’s hospitality during World War II. During the next two weeks, I’m going into production on nine sets of William Halsey Wood Blox based on his design for the Chauncey French house in Orange, NJ. It is one of three Agincourt-related designs by Wood that will be (already have been) fabricated. You may recall the French house as one of my all-time favorite residential designs—by WHW or anyone else, for that matter. Chauncey French’s home was the model for Claire Tennant’s dollhouse, built in 1905 for the Christmas she might not have survived. [Happily, she did and lived long enough for Peter Vandervort to build her wedding dress in 1920.] The dollhouse was built without knowing the interior layout of the house itself; actual plans weren’t found until years after the fact. So we relied on a basic cube, with gabled roof and engaged cylindrical dining room. It was that scheme which became the basis for the second set of WHW blox by the Tennant Manufacturing Co. The challenge, as you might imagine, is threefold: #1) abstract the house design in the spirit of Friedrich Fröbel; #2) do it in such a way that precisely the proper number of blocks will fit into a storage box, with none left over and no voids; and #3) present the user with the fun of building the house and getting all the blocks back into the box. That’s what these little square plans are all about. The nine sets will be identified by the nine letters of A⋅G⋅I⋅N⋅C⋅O⋅U⋅R⋅T and one will be auctioned to raise money for a scholarship fund. I hope some of you will get into the auction spirit and bid. Don’t ask me where I saw that quote but it applies directly to the Agincourt experience. 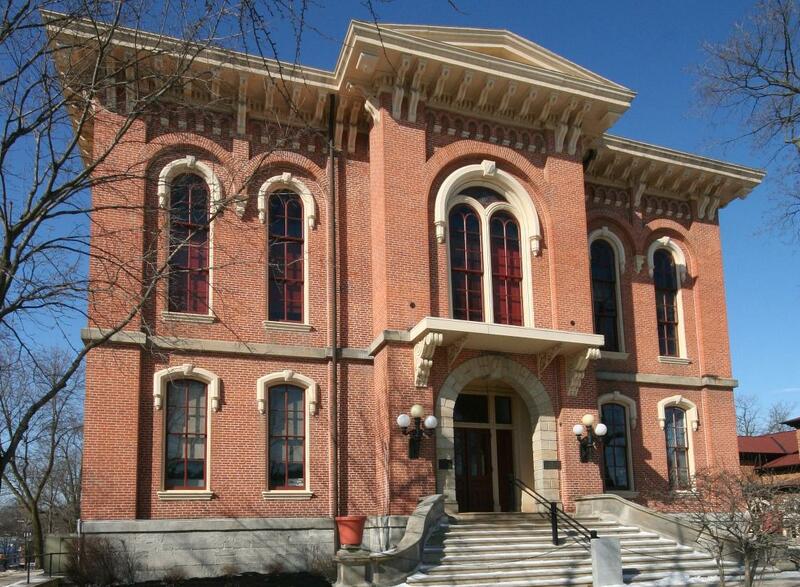 In the case of the community’s role as county seat, there have been three courthouses, but I can afford myself the luxury of knowing what #2 looked like without have more than a general notion of #1. So I could design an 1889 Richardsonian Romanesque building (in the style of William Halsey Wood, who never, to my knowledge, designed a public building, so I was pretty safe in that undertaking). I suspected that the previous building, dating from the 1860s, would have been an Italianate affair, with high ceilings, a nearly flat roof and heavily bracketed cornices. I just never got around to imagining it: something like this, only in wood. If anyone would like to try their hand at it, let me know. My Richardsonian affair was loads of fun and, in my not-so-humble estimation, turned out pretty good. Some months before the 2007 exhibit, Gordon Olschlager was passing through town and I had the opportunity to have dinner with him. He asked what I was up to these days — a foolish question, I know — so I told him about Agincourt and he immediately asked if we needed a courthouse. I said “Sure!” but that he’d have to decide when the 1889 building was struck by lightening and be ready for replacement. 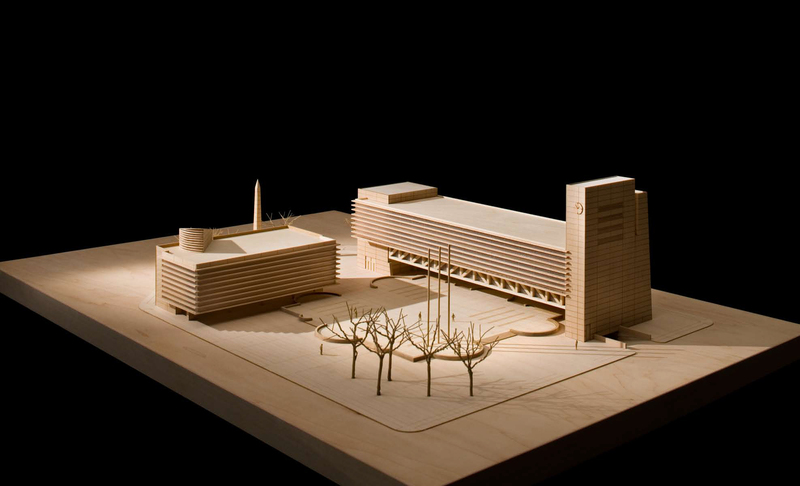 Some weeks later, a small crate arrived with this model inside: the third courthouse, circa 1967, in spectacular Mid-Century Modern style. Gordon’t story was even more exciting than the building itself, if that’s possible, but I’ll save that for another time. In the meantime, enjoy these photographs of the complex he conceived, which included county offices (recorder of deed, county assessor, etc.) and a separate court facility. You’d think by now I could be consistent in spelling “court house” or “courthouse”. 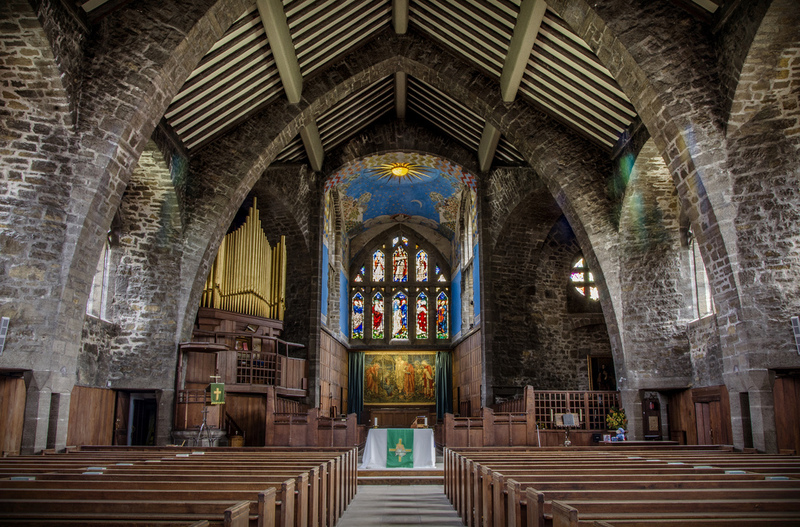 The Episcopal church of Saint Joseph-the-Carpenter was an opportunity to explore a favored period of architecture, the Gothic Revival of the mid-19th century. Richard Upjohn’s work has impressed me since I was an undergraduate, which may seem odd for someone who came to architectural awareness in the last gasps of Modernism. It was, I believe, the honesty of structure and construction that drew me to it (and the perceived opposite of those qualities that had repulsed me from the Baroque). 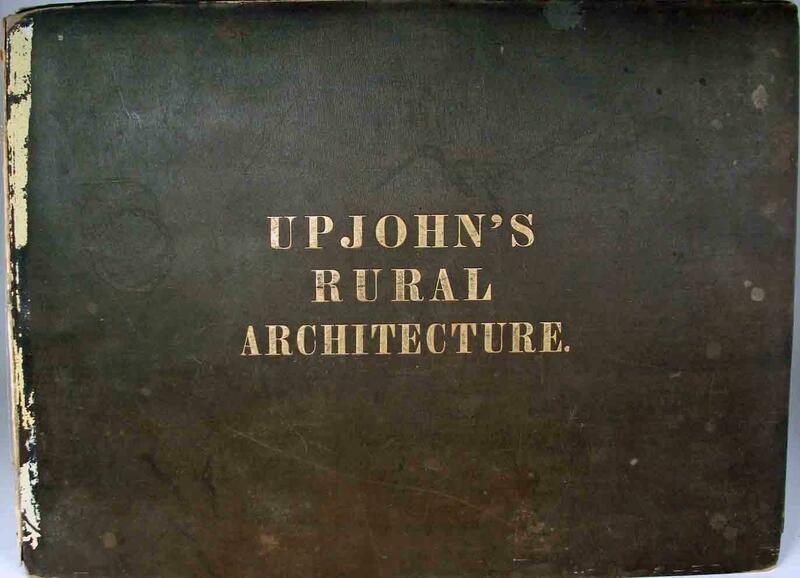 Since Agincourt had been founded in the mid-1850s, it seemed to me that something Upjohn-esque was bound to have shown up there, perhaps inspired by the prototype illustrated in Upjohn’s Rural Architecture, a pattern book he published in 1852. 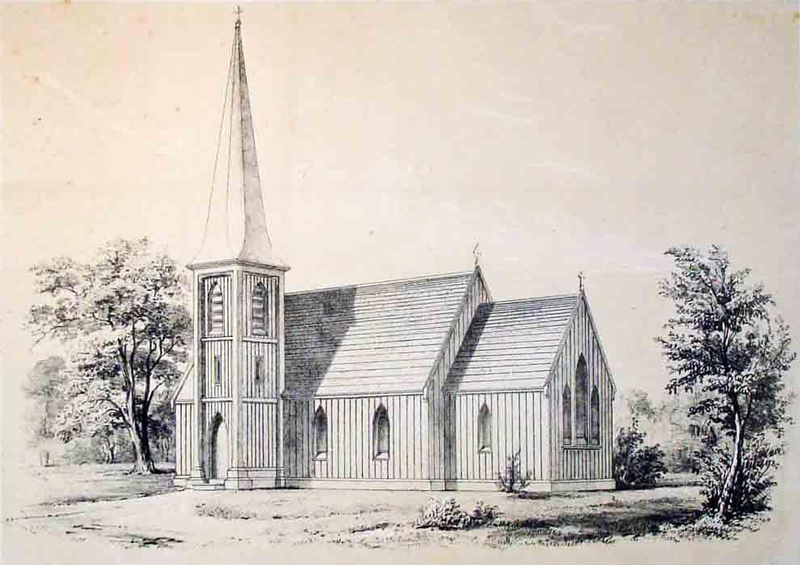 In addition to designs for small houses, Upjohn’s book included a suggestion for a small Episcopal church in wood frame with vertical board-and-batten siding, that exemplified his understanding of ecclesiologically correct style for the American frontier. The extent of his influence, either directly or through the pages of this book can be seen across the country, from Delafield, Wisconsin (a documented Upjohn commission from 1853) to others only indirectly related, such as Saint Luke’s in Cahaba, Alabama (1854, by an unknown hand) and as late as late as 1917 in Kirksville, Missouri. The “original” 1855-ish church had become the Parish Hall at the upper right, and P&B’s narthex-baptistry is at the liturgical west end. 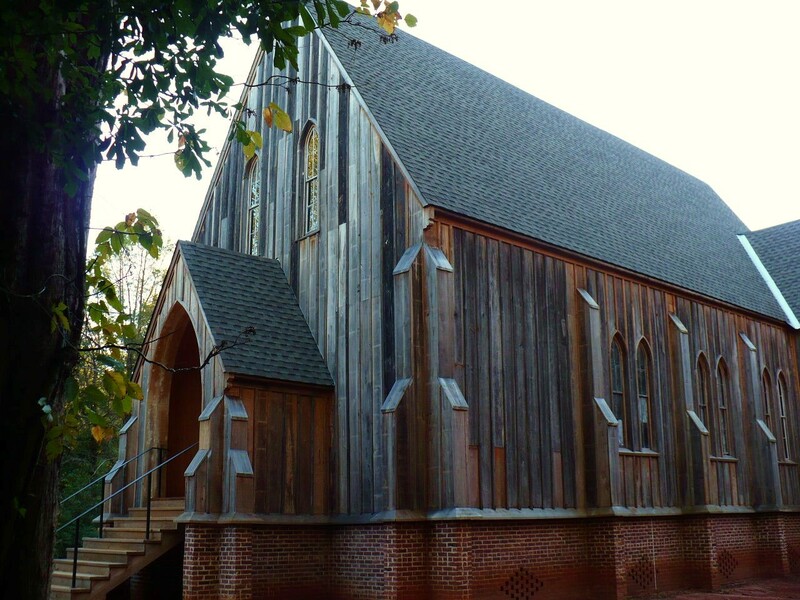 As is often typical in U.S. Episcopal churches, the entry is off-axis, coming through a vestibule on the south, which is here also extended to the north as the link with a new rectory and “cloister”. I planned the rectory but haven’t yet drawn its elevations. 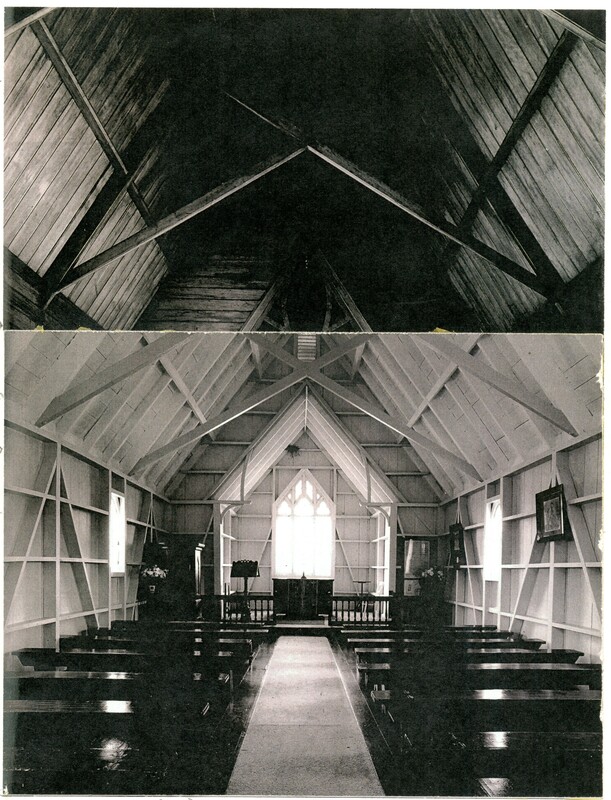 A Phase Four was conceived as the addition of a chapel (dedicated to St Crispin) that would also serve as a crypt for members of the extended Tennant family, both as benefactors of the parish and as another opportunity for Anson Tennant, my architect-avatar, to have designed one more building before his disappearance on the RMS Lusitania in the spring of 1915. 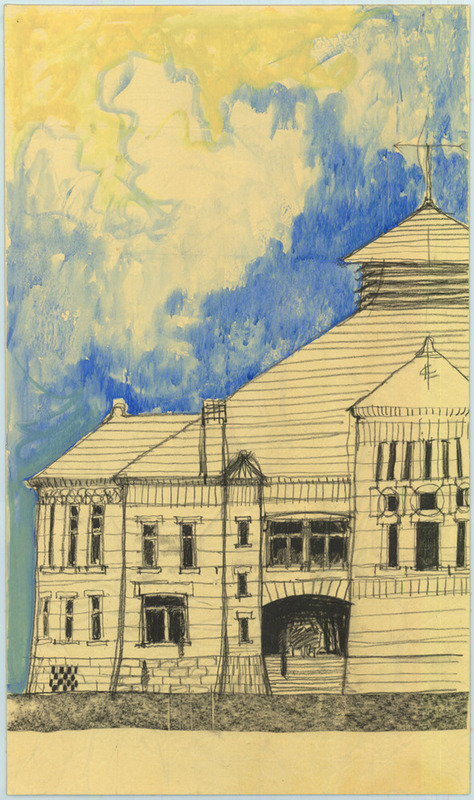 I painted a fragment of the building Anson would have known for the 2007 exhibit. 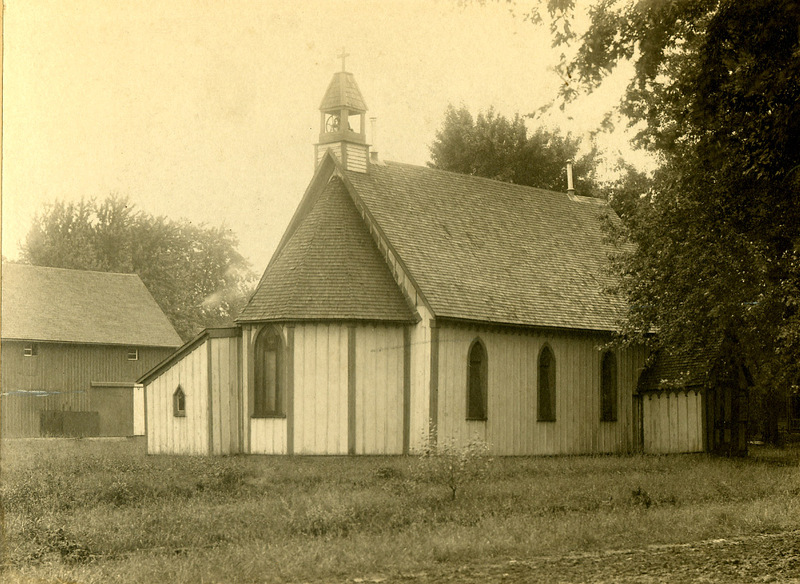 The history of the parish is only partly written. But it includes references to some favorite characters of mine—Rev B. F. Cooley, for example, a High Church priest who had actually served in Fargo, ND during the 1880s and might easily have made a pit stop in Iowa on his return to the East—and a couple of invented priests: Fr Stephen Grimaldi, OHC, and Fr Chilton Fanning Dowd, rector during the 1920s and 1930s. My gravitation toward ecclesiologically-correct churchmen must be pretty obvious by now. But what does all this have to do with a baptismal font? you may well ask. Ever vigilant to expand the range of the project’s material culture, the baptismal font at St Joe’s was a likely target. I was hardly in a position to acquire an actual Arts & Crafts font, however; something in the style of The Roycrofters, popular during the period 1910-1914. Examples such as the “Trillium” pattern that come up for bids on the internet auction site that dare not speak its name are far too rich for my pocket book, often selling for $1,000-plus. And it seemed to me that the parish at that time would have been similarly strapped for cash. 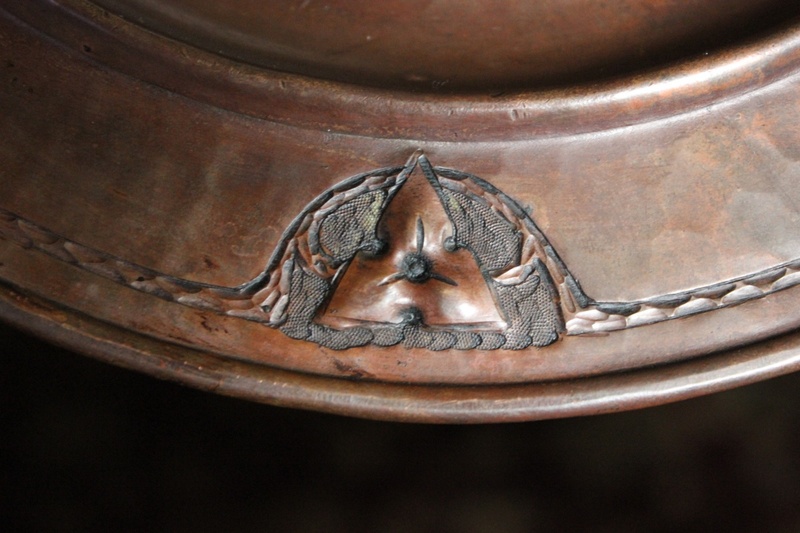 So I was content for the baptismal font to have been a simple green enameled wash basin—an object as honest in its purpose as an Upjohn church would have been—until a suitable replacement could be found and/or afforded. I searched, honestly I did, for a coppersmith whose work was akin to the A&C. But that search was in vain. There was one fellow, a graduate of the School of American Crafts at the Rochester Institute of Technology [how’s that for a contradiction in terms? ], but he was unresponsive to emailed inquiries. Too bad for each of us, though I don’t know why I expect everyone to be as enthusiastic about the enterprise as I am. 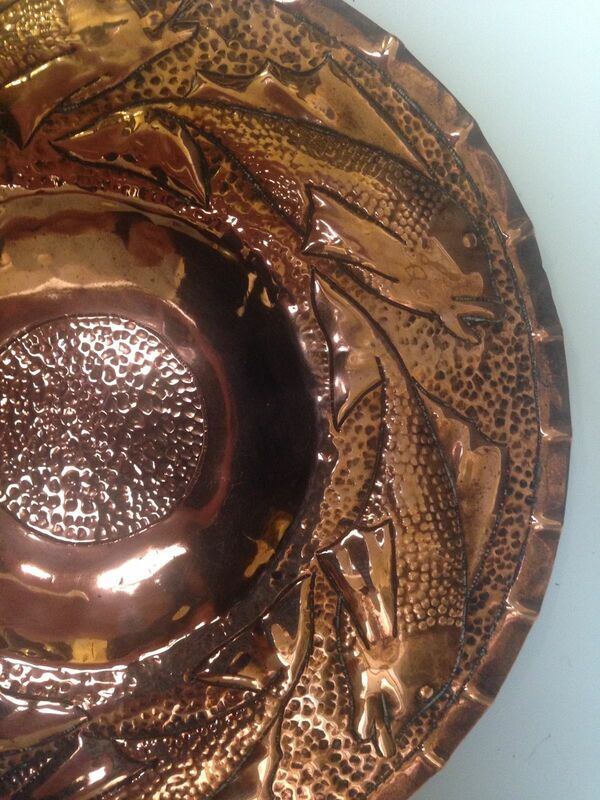 At any rate, I saw in my mind’s eye a broad-rimmed copper basin with an edge rich with the texture of leaves and salamanders as might be found surrounding a forest pool, a natural setting for baptism in the spirit of “living waters.” But I guess it was not to be. 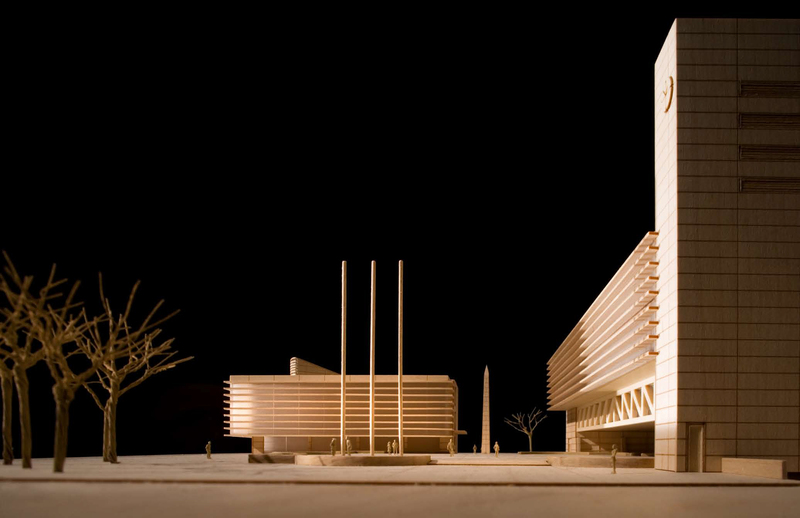 Then the project took a turn for wood as the material of choice [no pun intended]. Turn 180° from this view toward the chancel and you will find a baptismal font whose wooden lid by Robert Thompson has carved into its surface a tiny church mouse. 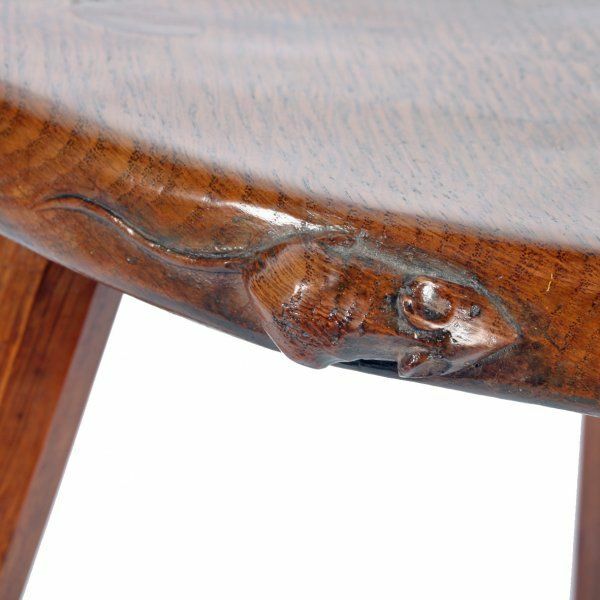 So connected with that motif is his work, that Thompson was known as the Mouseman and the company that carries his name today continues that tradition. Surely I could identify a craftsperson in wood who could see the baptismal basin I still have in my mind’s eye. But that, too, has proven a false hope. Then an opening at our local museum included the work of two potters I have known for many years: exquisite pieces linked to the Arts & Crafts imagery of my fondest desire. 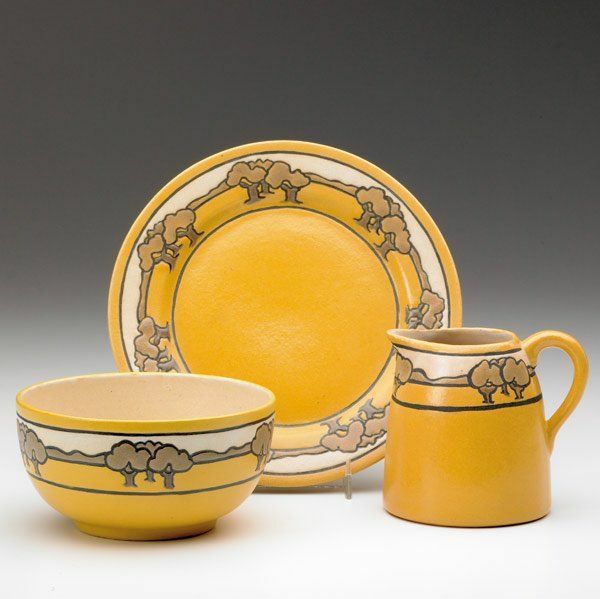 The newest pieces by potters Carrin Rosetti and Richard Gruchalla of Duluth evoke ceramics from a century ago: references to Rookwood, Newcomb, and the Saturday Evening Girls. Suffice to say, Agincourt’s need for a baptismal font may yet be satisfied in spectacular style. And the design of St Joseph-the-Carpenter in Agincourt carried one more step toward fulfillment. Let it not be said I have a short attention span. Eleven years of hindsight have only highlighted my fascination with squares. Agincourt’s original townsite, patterned after Philadelphia and several intermediate town plans, is comprised of one hundred forty-eight blocks. Of those, 96% are rectangles and a whopping 73% are square. Look at my own design predilections, prejudices, and defaults and you will find the infection of squares has risen to pandemic levels. Quinine is unlikely to help. My study of Thomas Holme’s 1687 plan for Philadelphia several years ago was premised on the dynamic discrepancy between the ideal and the real; on what would happen to the abstraction of a Cartesian grid wafting earthward, draping itself abroad a nearly virgin landscape, and accommodating in varying degrees the lay of that land. Such accommodation was the stuff of a forty-page research paper which pleased both me and Cathy Matson, the seminar instructor who guided my thinking. And like so many things academic (or pretending to be, in my case), it was titled “‘The crooked straight and the rough places plain’: Implementing William Penn’s plan for Philadelphia” — or something even more cumbersome. [Ask me about the reaction of one other student in the seminar to my rather unfettered, free-wheeling style: he was not a fan.] 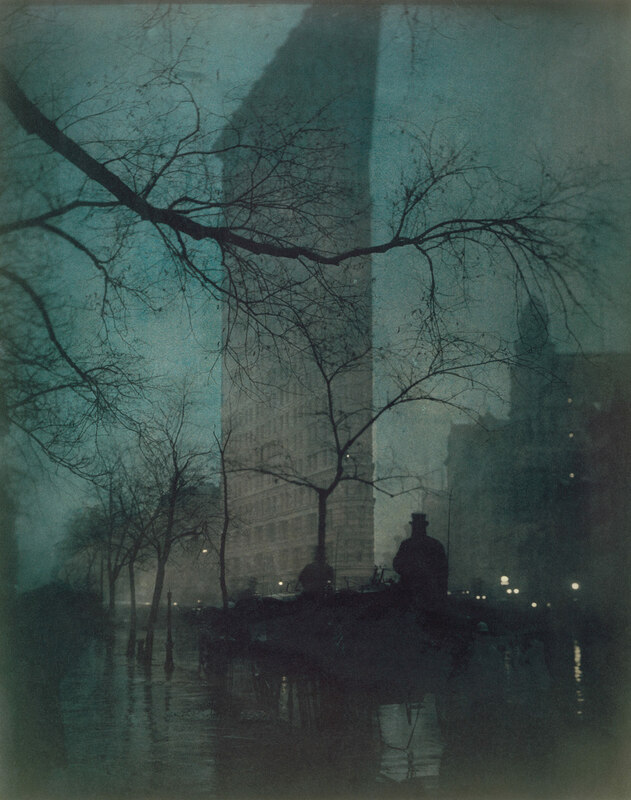 So, imagine my chagrin while shopping for images on-line and finding a distant cousin of New York City’s renowned Flatiron Building. Baltic, Connecticut* boasts its own iteration of the flatiron idea (four years before Mr Burnham), The Roderick Block, a two-story mixed-use wedge occupying a triangular plot. Google.maps confirms its pesky persistence, which makes me exceptionally happy. I’m trying to imagine Steiglitz’s image if his train had been delayed at Baltic on a foggy winter’s night. But the loss I feel right now derives from the nearly total lack of topographic variety in Agincourt, and what might have been if only there’d been such a fork in the road. * Baltic straddles the Shetucket river, which sounds more like an accusation than body of water. We take sustenance where and when we can. Mine came this afternoon during a phone call from a good friend, of the sort who know you all too well and yet remain your friend anyway. 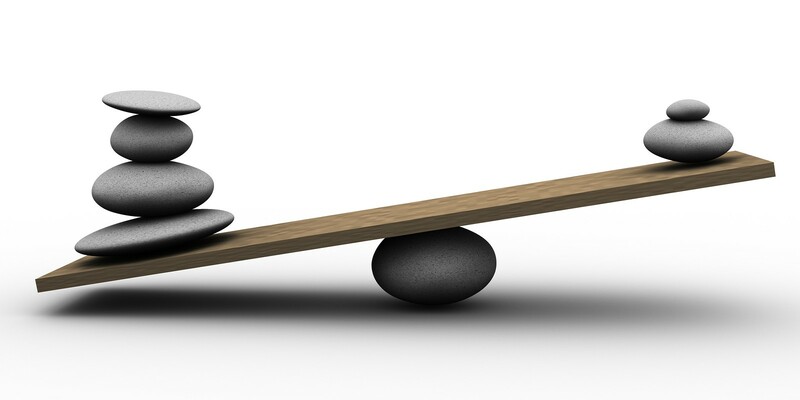 You know what I mean: The scales of give and take always seem imbalanced in your favor; how can you receive so much and feel so keenly the deficit of giving so little in return. Get over it. My friend sent a clipping (from the New York Time, I think) showing a pleasant afternoon at a county fair in Colorado. Family groups scattered around the Ferris wheel looked either at the camera or admiringly at those in the gondolas over their heads. Absolutely nothing unusual going on—except for white robes and pointy hoods: nary a face showing among the lot of them. This was “Klan Day” at the fair in 1925; an ordinary family outing of no consequence. Ninety-plus years later, two observations come to mind: 1) we’ve come a long way since then, and 2) we haven’t come very far at all. George Santayana got it spot on: “Those who cannot remember the past are condemned to repeat it.” And we’re suffering a cultural amnesia like none other in my lifetime. Knowing plays a huge role for those of us playing in the sandbox of history. Successful play requires three sorts of knowing: 1) what you do know; what you don’t know; what you can’t know. Anyone writing about the Roaring Twenties, for example, shouldn’t be tainted by an awareness of Black Friday. Likewise, public health concerns—pandemics that purge the gene pool periodically—ought to come as complete surprises while we negotiate the local historical narrative. At the same time, these had enormous consequence for each community, regardless of size or stature. The influenza epidemic of 1918, for example, influenced the project in ways I couldn’t have imagined. Who knew that “patient zero” was a returning World War One doughboy at Fort Dodge, another Iowa town only fifty miles east of Agincourt. How easy would it have been for the virus to traverse those few miles—given the inter urban railway we’d created only ten years before. What mechanisms would have spread it throughout the population and how high would the death toll have reached. Children and the aged were most at risk, so whole families could be decimated; history’s course shifted a fraction; the trajectory of survivors’ lives redirected. And for me, narratives rewritten or erased. So what of the Ku Klux Klan? Until this afternoon, my familiarity with the Klan had been kept well beyond arm’s reach—both theirs and mine. I learned, for example that it’s name derives from the Greek word κυκλος (“circle”), innocuous enough but now tinged with evil. It reminded me of a local story, more than thirty-five years old, involving Frank Vyzralek, former curator at the State Historical Society (when I was on better terms), a story yearning for adaptation. Frank is gone but I believe he’d approve. Charles Mulford Robinson, et al. A trilogy of urban design influence is represented by 1) Messrs. Hegemann and Peets, authors in 1922 of The American Vitruvius; 2) Barry Parker and Raymond Unwin, creators of Letchworth, the world’s first “garden city”; and 3) Charles Mulford Robinson, journalist-turned-planner, who was active throughout the region as a lecturer and planning consultant — in Minnesota and the Missouri River valley. Influential in Agincourt, I should add, because they have been influential in my own thinking about what makes cities livable. 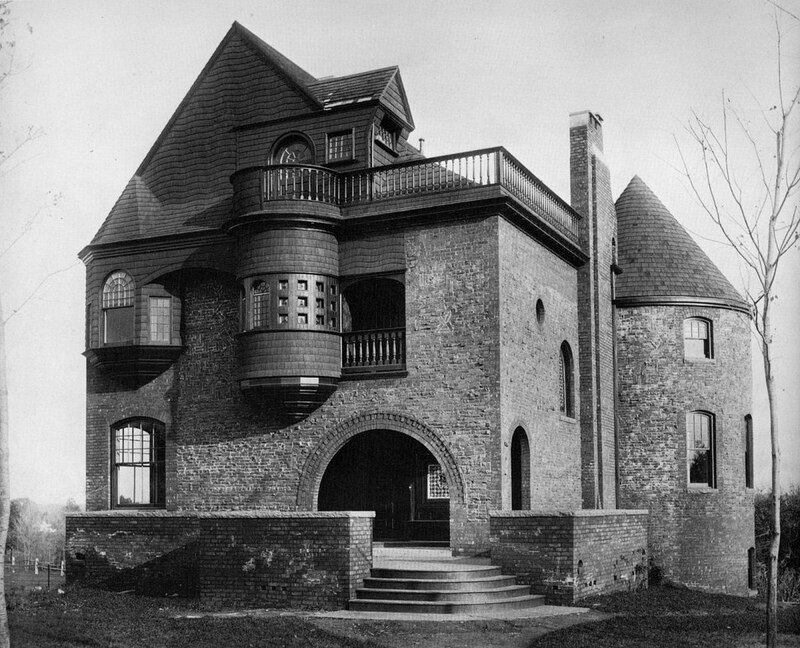 Frank Lloyd Wright is unlikely to have received a commission in Agincourt; his pre-WWI domestic work was simply too extreme for any but the most cosmopolitan. Yes, Wright did a few early projects in Iowa — the bank-hotel in Mason City, foremost among that small group — but the majority of “Prairie School” work in the state was done by others: the Griffins, Barry Byrne, William Drummond, Arthur Heun. There is another architect, a near contemporary of Wright with a shirttail connection to the “Prairie School”, who receives very little air time, yet who during his career was undoubtedly better know by the general public (rather than the architectural intelligentsia) than Wright was. That was the affable, low key architect Lawrence Buck [1965–1929]. Both Wright and Buck were skillful in using women’s magazines (Ladies Home Journal, House Beautiful, House & Garden) to promote their services to a middle-class audience. Buck was simply better at it. 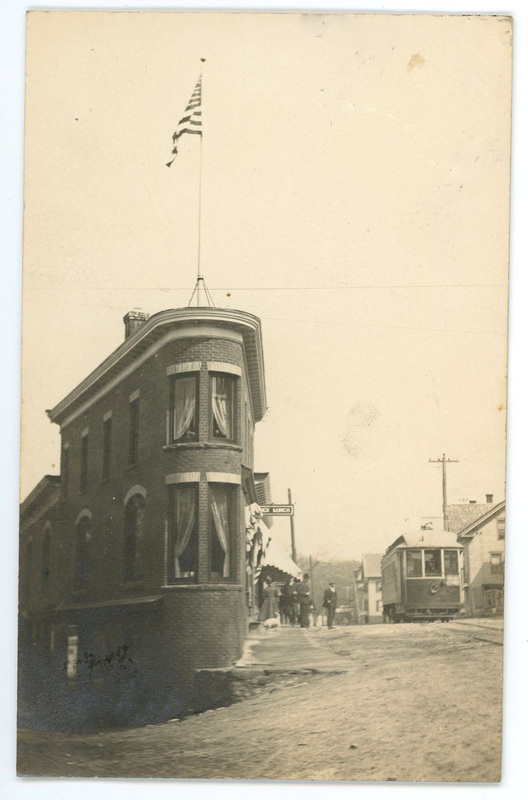 In the years between 1900 and WWI, Buck’s modest single-family residences can be found from Upstate New York and Pennsylvania to the Dakotas and California. 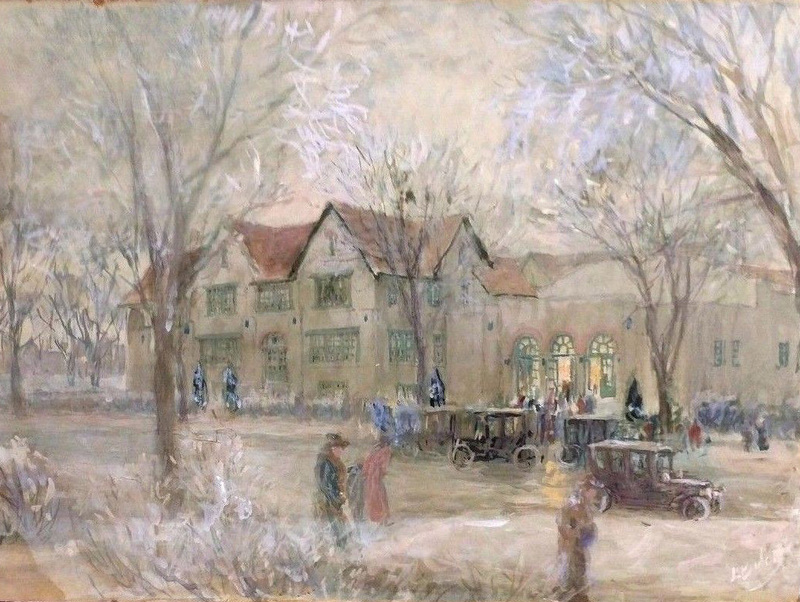 Buck exhibited extensively in architectural clubs from Ohio to Oregon. 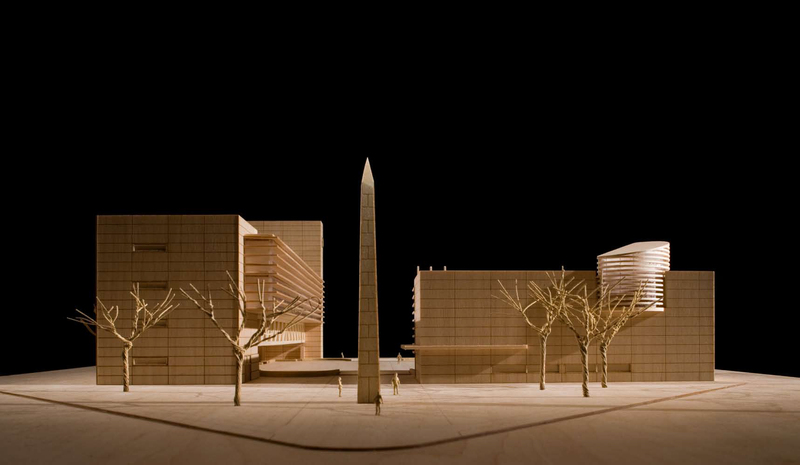 And his skill as a delineator (an architectural illustrator) recommended him to possibly a dozen other architects. As a Chicagoan myself, and an admirer of Buck’s work for at least forty years, I can invoke him here for the simple reason that he, too, contributed design skills to multiple Iowa communities: there were four of his houses in Dubuque and three more in Cedar Rapids. And his single-family residences have more in common with the architectural work of Parker and Unwin. 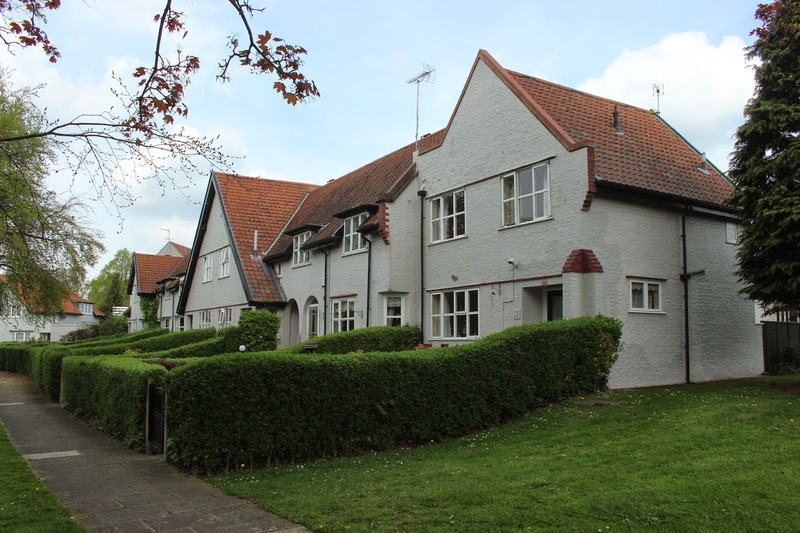 Witness this group of houses at New Earswick, near York in the north of England. 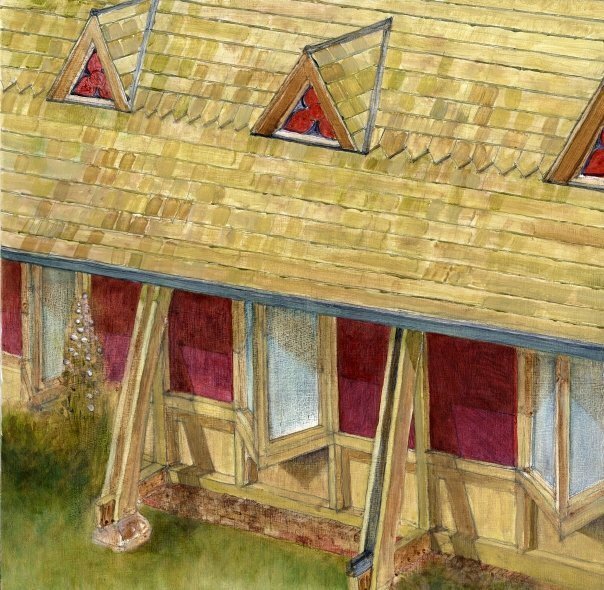 A case can be made, in my view, that Buck was aware of, and strongly connected with, the British Arts & Crafts movement and incorporated more of its characteristics that he did of his contemporary Wright’s exoticisms. Is it even possible that he owned a copy of the 1901 P&U book The Art of Building a Home. All of this despite the fact that for several years Wright and Buck officed in Chicago’s Steinway Hall and without doubt shared numerous uncomfortable elevator rides on the way to work. 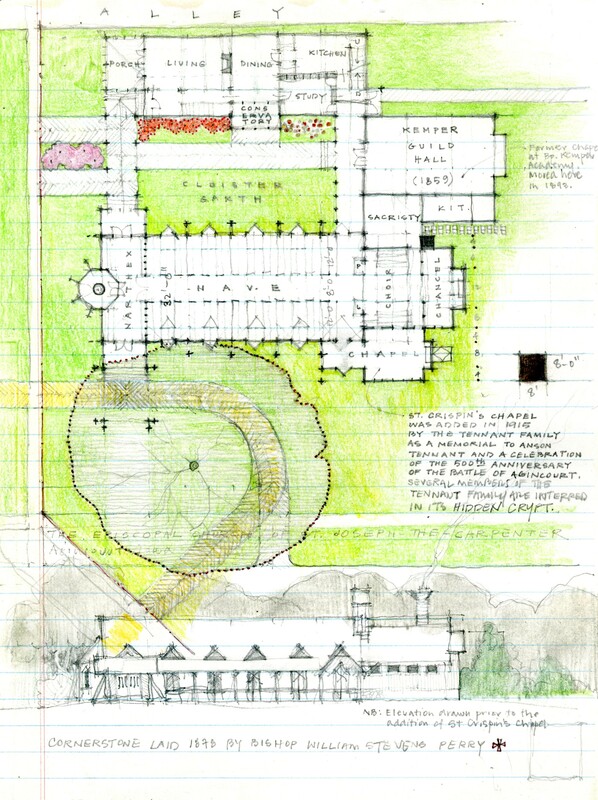 Since Lawrence Buck designed at least seven houses in Iowa, it is not at all farfetched that his designed three in Agincourt: a large house for Aidan and Cordelia Archer; a cottage for school principal Rose Kavana(ugh); and one of many duplicates of a house published in both the LHJ and the HB.